Not all hotel gyms are created equal, even if the hotel is a 5-star hotel. 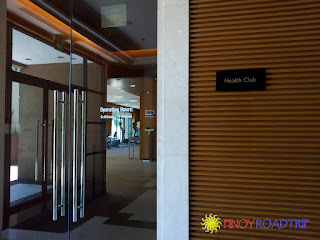 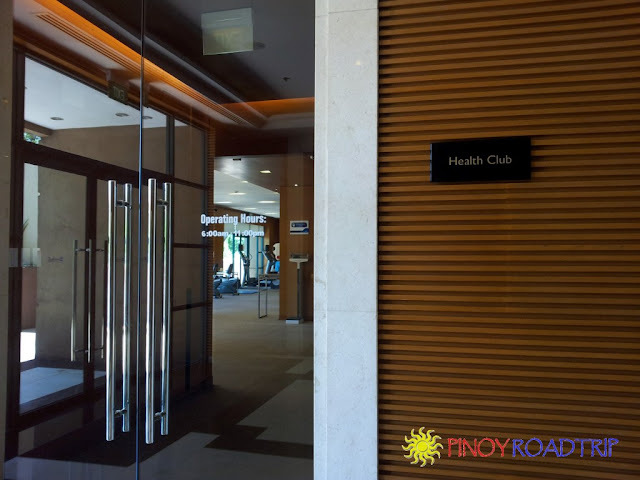 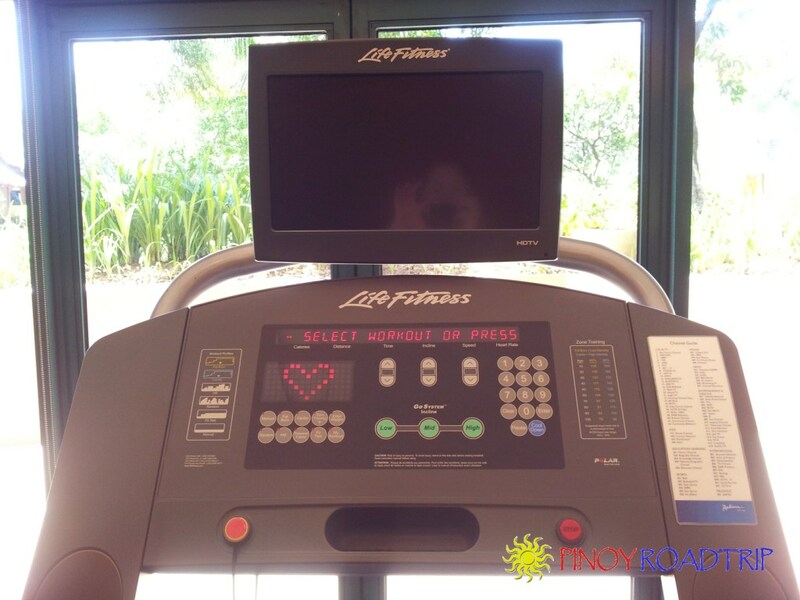 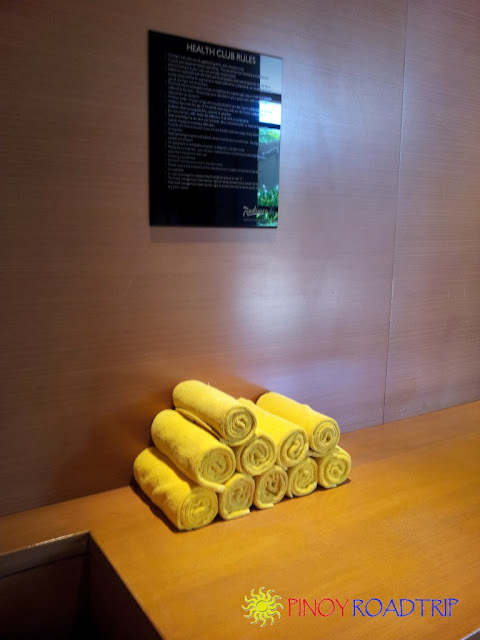 The gym at Radisson Blu Cebu has the following features that I love which makes going to the gym something to look forward to, even while on vacation. It is spacious, with plenty of equipment. They have a high-end treadmill that measures distance, gradient, speed. It also monitors heart rate by holding on to the rails where the sensors are located. 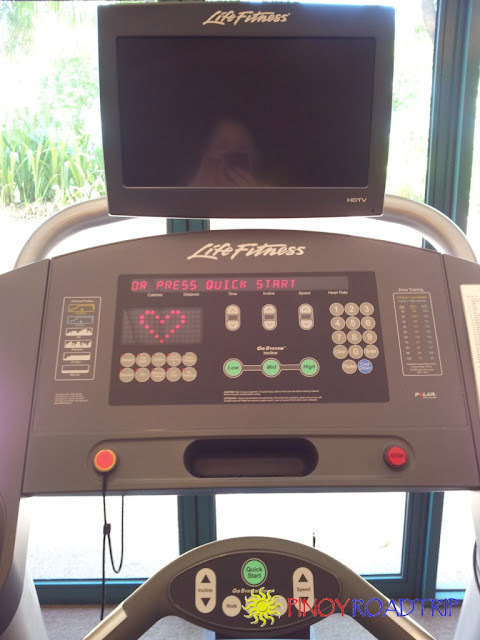 You only need to bring headphones. They provide snacks like apples. 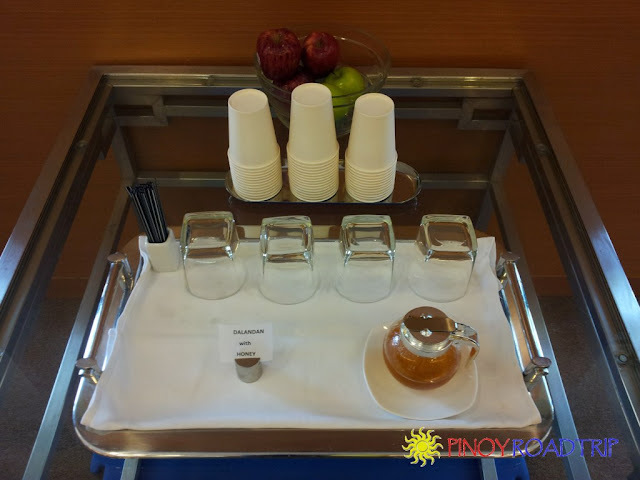 You can make your own dalandan juice with honey. 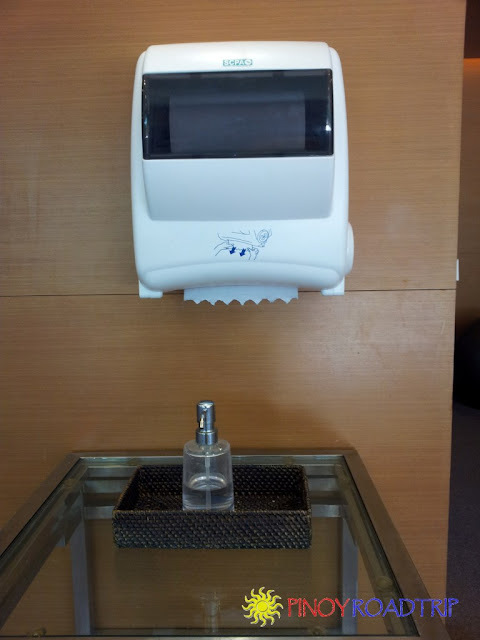 They provide hand towels and a hand sanitizer. 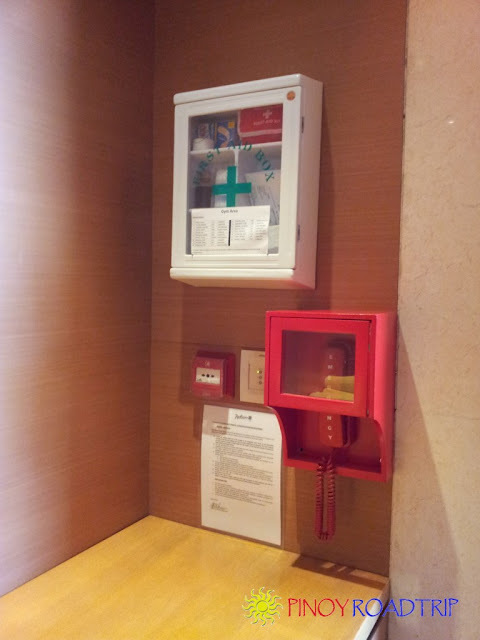 There's a first aid box near the entrance. 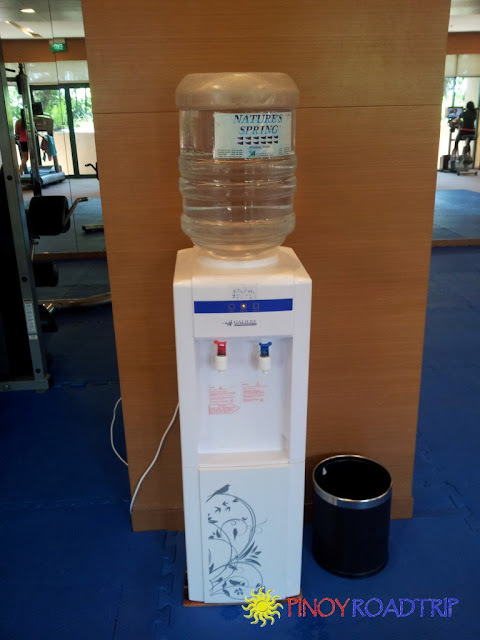 so you can swim at the pool after a workout.